I've been DYING to pick up polymer clay for ages. It's suuuuper expensive here ($3.49 for one small square!) and it was on sale for $1.50. I decided to make a cute bow, it was pretty easy and a good shape to make for someone who is a complete newb (like me!). It's not perfect, but with a little practice, who knows! As a side note, my curls did look quite nice today (despite total need for a haircut!) if I do say myself. Creds to my lovely mama for modelling. Me and my mom are basically known for having cool bracelets. We both have another bracelet each that is a Pandora style that we bought from a market in southern Portugal for 4 euros each. 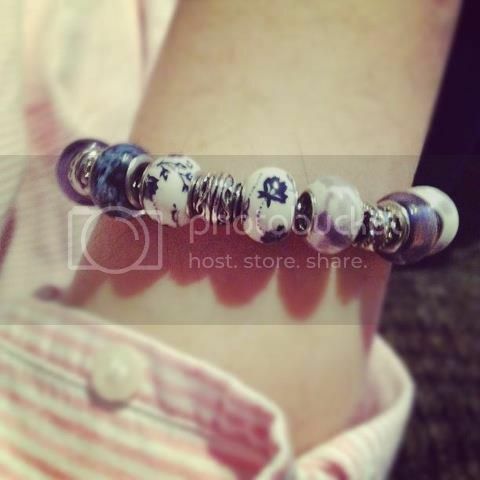 However, my mom really wanted a custom Pandora style bracelet. We ended up finding a huge array of beads at the craft store and were very happy. I made my mom this one, mixing a couple of the bead packages together. We're going back for more tomorrow. Hope you enjoyed this post, if you guys like them i'll be sure to post more in the future Comments are always welcome! i liked these on instagram. whaaaaat. you're amazo. no, rather; faboosh. 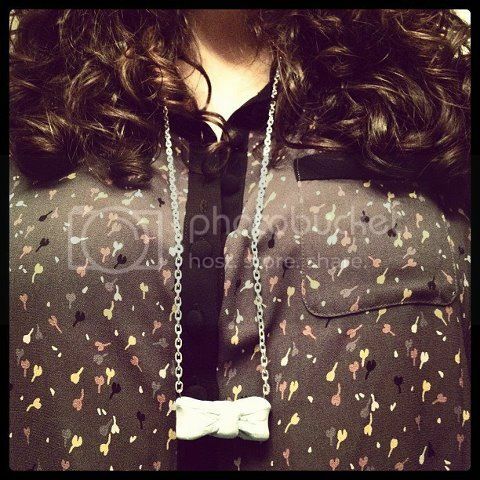 That bow necklace is adorable!